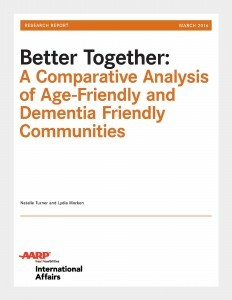 As more communities in the United States and around the world commit to becoming age-friendly and dementia friendly, there is increasing interest in how the two types of initiatives work together, and complement rather than compete. 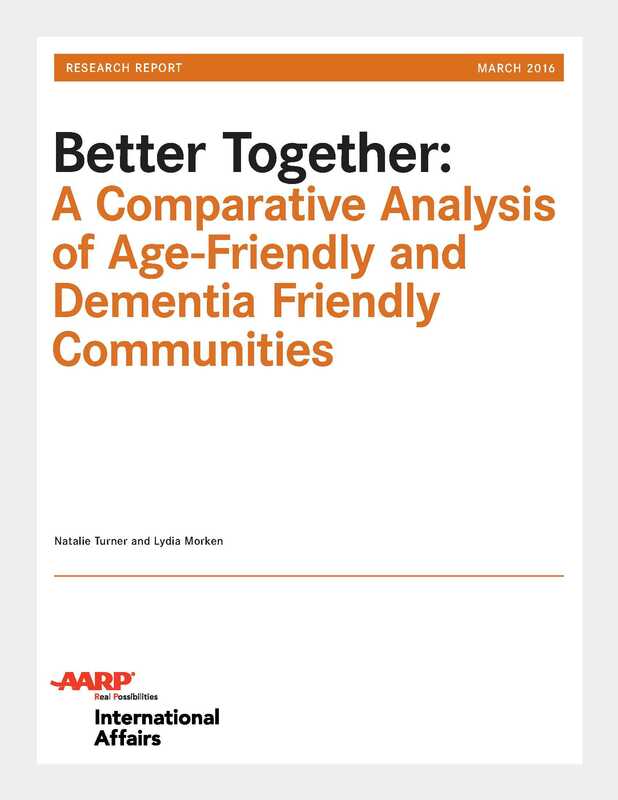 This report compares two approaches and finds that while age-friendly may inadvertently neglect the specific need of older people with dementia, it can offer a means for improving the sustainability and reach of dementia-friendly actions. A detailed comparative analysis and international case studies offer further insight into how the two might be integrated.